After a couple weeks into summer vacation what is one thing you hear kids saying? “I’m bored”, right? Especially if it’s thunderstorming or it’s just too hot to do much. 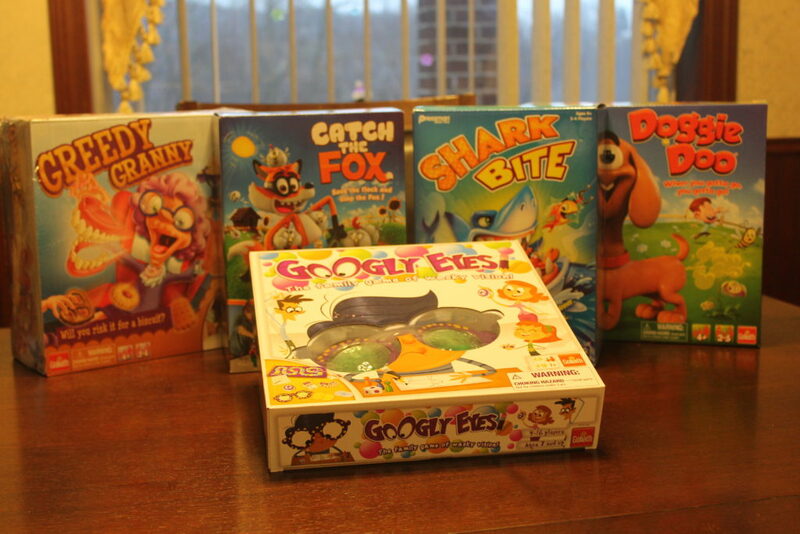 Keeping a selection of family friendly board games is necessary in our house. We have mandatory unplug times. The kids either choose to go outside or if the weather isn’t cooperating they grab a board game. 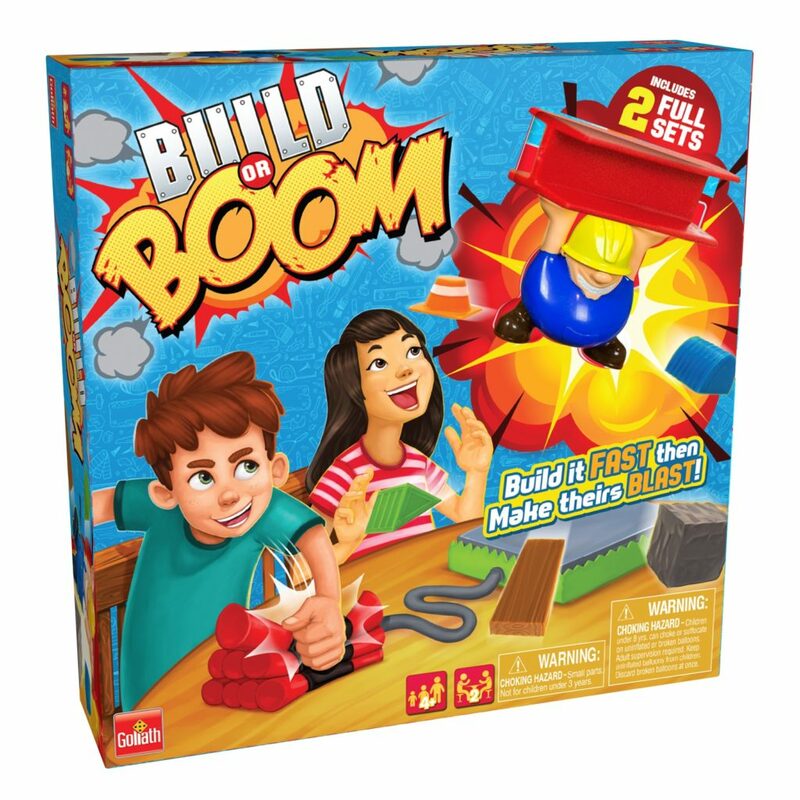 One of the newest games from Goliath Games LLC is Build or Boom It almost immediately became the family favorite. 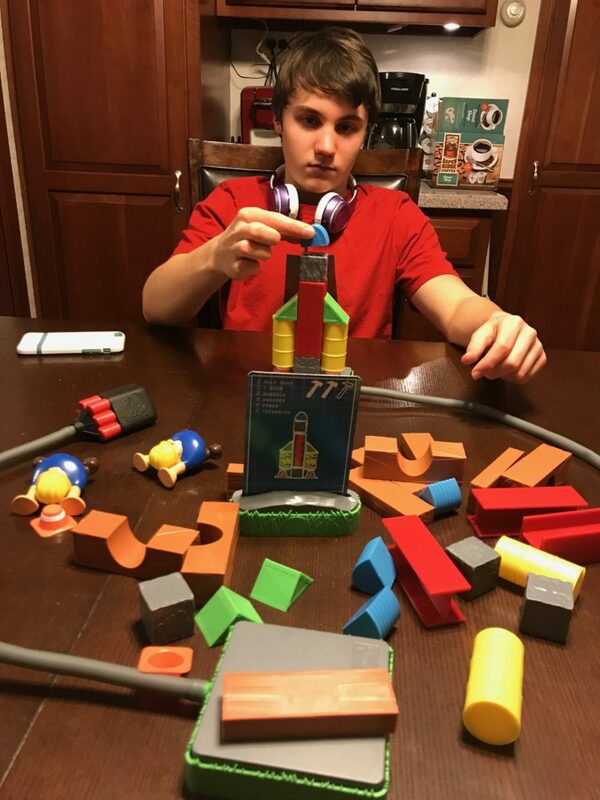 If you’re kids are into things like LEGOs or Minecraft or they just like to build things and blow them up lol, this is the game for them. Build or Boom is for two players. 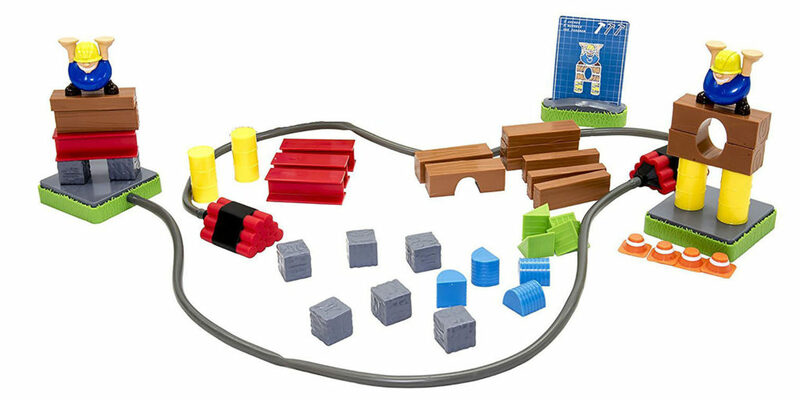 The game comes with building pieces, building platforms, and game cards. The game cards show a “blueprint” of what you are supposed to build with which pieces to use. The difficulty level of each blueprint is shown using hammers. 1 hammer is the easiest with 3 hammers being the hardest to build. With this idea it’s fairly easy to grade the game down for younger players if needed. Once the card is placed both players start building at the same time. The first one to finish their building correctly gets to “blow up” the other person’s build by using the “dynamite” attached to the other person’s platform. There are enough pieces for both players to make each blueprint each time. It can be a pretty fast paced game. Especially when the older boys and I were playing together. We had to slow it down a bit for the littler ones but they still had fun. 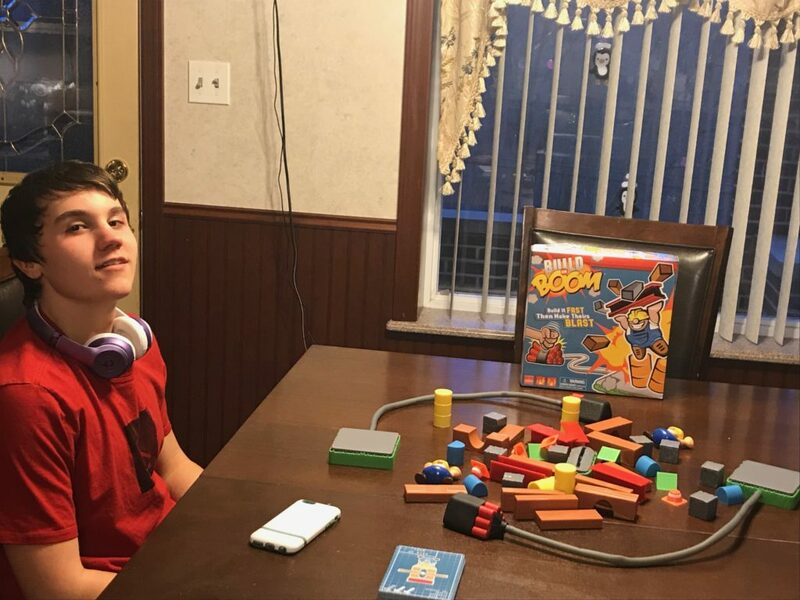 My kids range in age from 5 to 15 and they all enjoyed Build or Boom from Goliath Games LLC. Heck I had fun with it too! You can check out some of my social media sites to see videos of these games in action too! 1 US LuvSavingMoney reader will win a Build or Boom game! Another game I would love to have is Who Tooted. My boys would love it. My son keeps asking for Gooey Louie! Yuck, Lol! Tick Tock Boom looks very interesting. Domino Rally looks like a lot of fun!!! I like Pop the Pig. Another game I’d like to have is Who Tooted! I would love to try Paint Station with my nephew. I think the idea of it is really cool! I love that you can’t spill the paint!